I've been in the manufacturing business my entire career. When anyone asks what I do for a living, I just tell them I develop processes to improve "how" and "where" manufacturing gets done. The "where" part tends to get people excited, but not in a good way, because they know that it usually means out-sourcing. 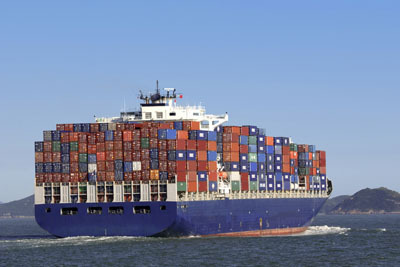 And out-sourcing conjures up images of container ships hauling products made by Chinese laborers who ended up with what used to be American jobs. In the manufacturing world, we make decisions regularly regarding "make vs. buy." And every time the answer changes from "make" to "buy", we are out-sourcing. We are taking a task that we consider do-able, and getting someone else to do it. Sometimes it's based on cheaper labor, but more often it's based on enabling technologies for which we don't have the economies of scale to justify the capital expenditure. The "buy" decision is tightly coupled with automation. Sometimes the thing we are "buying" is access to capital equipment as an alternative to labor. For example, surface-mount technology printed circuit board production lines are not cost-effective if you can't keep them fully utilized. So, most companies send that work to contract manufacturers and avoid the capital expenditure. That's out-sourcing. Sometimes in the process of out-sourcing, companies get to narrow their focus to their core competencies, by off-loading the other work to those that have better means of doing it. By out-sourcing, companies maintain a competitive edge via specialization, which facilitates innovation. A lot of jobs have disappeared as civilization has transformed from tribal to agrarian to industrial. Industrialization has given us mass production of things like food and textiles. There was plenty of resistance along the way. In the industrialization of the textile industry, there was a group known as Luddites, whose higher skilled jobs were being out-sourced to equipment owners that could operate that equipment with low-skill labor. They became famous for destroying equipment. Today, the term Luddite is synonymous with those that stand in the way of progress by opposing automation for the sake of employment. We regularly hear, especially during the political season, about manufacturing jobs that are being lost. A hundred years ago, the complaint was that agricultural jobs were being lost. No one complains about that anymore. No one really wants to work in the fields. Indeed, industrialization eliminated many jobs in the food processing industry, leading to low-cost mass production and convenience for the consumer. You can see the impact all the way to the most detailed micro-economic level. Have you ever heard the saying "it's the greatest thing since sliced bread"? Clearly, the outsourcing of this chore has been greatly appreciated by all. 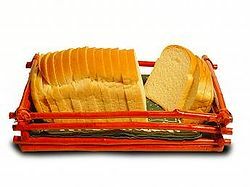 You will probably be surprised to hear that during World War II, pre-sliced bread was outlawed briefly by the Secretary of Agriculture, apparently a Luddite himself. The argument for implementing this legislation was that sliced bread consumed too much in the way of packaging resources. But job preservation perpetuated the silly statute. At one point, a New York official threatened enforcement, saying that those who were continuing to slice bread should stop "to protect the cooperating bakeries against the unfair competition" and that the government was "prepared to take stern measures if necessary." The law was repealed, and wartime housewives were allowed to continue outsourcing the menial task. 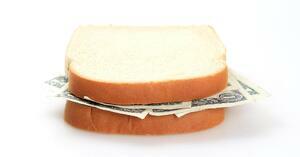 Making sandwiches got easier, and wax paper sales took off. Some of you may be thinking "Yeah, but that's about personal convenience – business is different". Not really. A hundred years ago, most large industrial companies had a VP of Power and a department concerned with power generation. Then power became as convenient and ubiquitous as a wall outlet. That function got out-sourced so completely that the job title went away entirely. Let that be a lesson to today's Chief Information Officer, to whom the same dynamics are applicable – convenience and ubiquity of the resource. We see this in the form of payroll processing, which led to info tech giants like Ross Perot's EDS. For that matter, entire HR functions are now regularly out-sourced, as well as legal departments. And factories are often sold "lock, stock and barrel" to contract manufacturing firm like Jabil, Celestica, Sanmina-SCI and Flextronics. I confess - I've helped numerous companies out-source manufacturing to those firms, and that meant that the jobs went elsewhere. And I have no regrets – I helped make products cheaper, which made my employer stronger and better able to compete in a world market. Some of you may be thinking "Well, outsourcing is inevitable, but off-shoring is the real problem, because of the loss of domestic jobs." Again, I have to confess. I once helped a company off-shore an entire product line. The electronic circuit boards jobs went to one country, and the final assembly work went to another country. We out-sourced about 250 jobs. That's a bad thing, right? What if I told you that the product was being built in my employer's home country of Germany, the circuit board manufacturing was moved to a California firm, and the final assembly was moved to a Romanian firm. And consequently, the increased sales volume and profits from the resulting cost/price competitiveness funded more design engineers in the Texas design center for developing the next generation products? 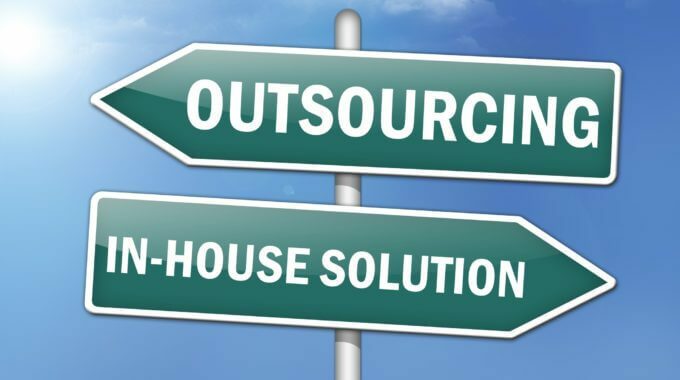 Now, is outsourcing all that bad after all? Or, is out-sourcing OK as long as you are on the receiving end of the jobs equation? Sometimes the outsourcing story goes full circle. In the 19th century, plenty of Yankees were upset when work at their textile mills was out-sourced to the lower-cost mills in the South. In those days, sending jobs south of the Mason-Dixon line wasn't any more popular than sending jobs off-shore today. The South benefited greatly, for about a century, until Chinese mills came up to speed. Now, nearly all towels and linen come from plants in Asia, and those mills in the South are shut down. But after a period of high unemployment, the industrial South has re-emerged, especially in automotive. Foreign car-makers like Toyota, Mercedes and BMW have gleaming new plants in the South. The cars cost less, and local employment has gone up. My wife also must confess to out-sourcing – she drives a BMW for which the production was out-sourced – people in Munich had to give up their jobs to people in South Carolina (descendants of former textile workers.) She could buy a Chevy Volt (with an engine from Austria and an electric motor from Japan) or a Ford Fusion (assembled in Mexico), but that would be out-sourcing US jobs. To maximize US content, she needs to buy a Honda, the car with the highest US content of all US-built cars. Who would have thought that buying a Honda creates more US jobs than buying Fords? And while we are talking about out-sourcing, off-setting and off-shoring, let's deal with the fact that the sword swings both way. There is such thing as in-sourcing and on-shoring. Sometimes it makes sense to do things in-house even though the capabilities are better elsewhere. There is no doubt that Dell Computer in Round Rock, Texas could perform final assembly in Asia much cheaper, but with a lean supply chain and a factory-direct fulfillment model, they can offer a vast array of product configurations, assembled-to-order, supporting two-day delivery and thereby virtually eliminating their exposure to product mix uncertainty. For one of the best examples of in-sourcing enabling mass customization, combined with rapid delivery, look at the eyeglasses industry. Traditionally, the work was "out-sourced" by the optometrist, to a central lab, where lenses were ground to the prescription and cut to fit the frame. But some clever French guys looked at those two steps separately. Pre-grinding the blanks to a relatively finite number of prescription gradients was changed from a "lab" function to a "mass production" function, and the machines for cutting the lenses to fit the frame were improved such that the optometrist could in-source that step. This re-definition of out-sourced vs. in-sourced re-vamped the entire eyeglasses industry and gave us vastly improved service. So where am I going with this? Out-sourcing is here to stay. It's as inevitable as the advancement of technology. Things we could do manually will gravitate to lower cost regions, as the world approaches economic "flatness". And then the manual labor will become automated, either through robotics or product architecture. It is a fact of life, and the companies that are best prepared are the ones that have the best definition of their processes and products. Development processes are also part of the out-sourcing rationale. I can't tell you how often I've seen contractors engaged to do PCB layout, design analysis, certification testing, and industrial design. I sometime think of the term "non-recurring engineering" as being redundant. Engineering is non-recurring by its very nature, especially if it's being done right. And what better way to engage and collaborate with engineers across company lines than a comprehensive PLM system. The best prepared companies have Product Lifecycle Management tools that enable them to engage developers from all over the world to design products that can be built all over in the world. The degree to which the product data is comprehensive should not hinge on the "make vs. buy" decision. If it's important information when your company builds it, it's important when a contract manufacturer builds it, and vice-versa. The most important concept is that the sourcing will almost certainly change to some degree during a product's life, and that process will be easier and less risky if the product is well documented in a comprehensive PM system under revision control. And I cannot avoid mentioning the concept of time-based management. We all compete on the time domain. Most advancements in technology save time. The best companies use time to their advantage, and well-organized Product Lifecycle Management information systems can make them time warriors. So, here's my message: Be able to design anywhere, build anywhere, and change anytime. Concentrate on the product and its configuration the way our Air Force controls the configuration of a jet fighter, and don't worry too much about sourcing – that will sort itself out in ways you cannot predict, through automation, integration, investment, divestment, economics, and sometimes even politics. Now I'm going to go make myself a sandwich, with pre-sliced bread. Thank God for automation and the out-sourcing of menial tasks. What are your thoughts on out-sourcing today?